I can hardly believe that 2017 is almost over, but I can think of no better way to end it than with food and a film! 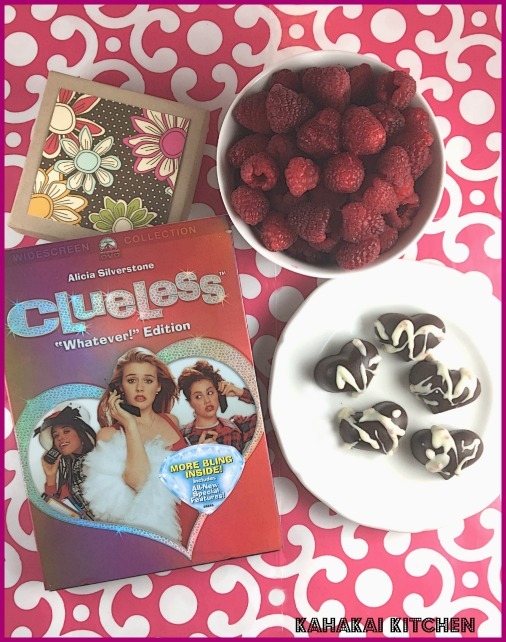 I hosted the last Food 'n Flix club of the year with the 1995 Alicia Silverstone film, Clueless - a modern twist on the classic Jane Austen book, Emma (curious as to how the character's overlap? Check out my post here...or search it for a bunch of other fun comparisons). If you're just here to find some fun Clueless-inspired recipes, that's okay, too. Let's get to it! 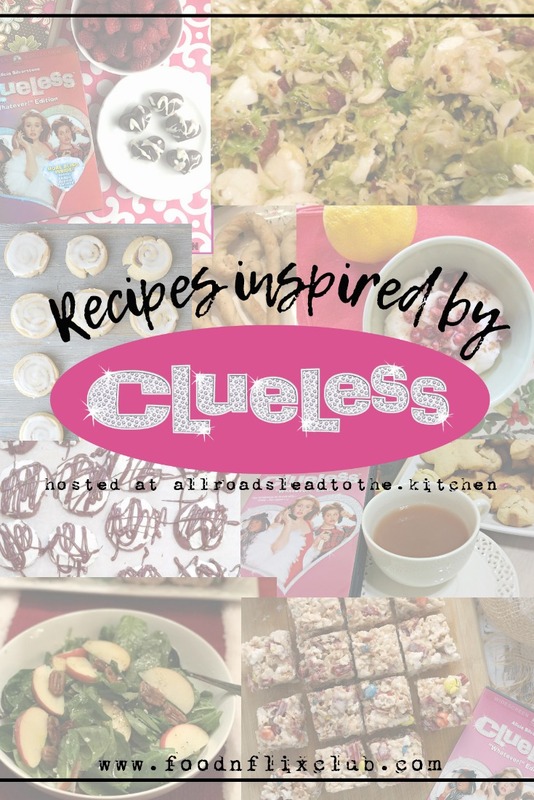 Kimberly from Coffee and Casseroles pulled inspiration from several different aspects of Clueless, including its Emma (Jane Austen) roots with her Candy Cane Tea! 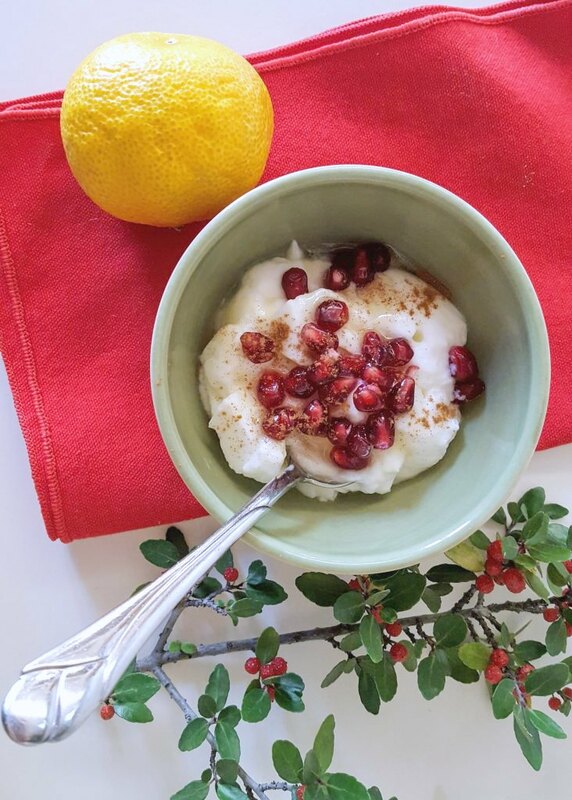 Next up, Debra from Eliot's Eats brings us a healthy breakfast of Greek Yogurt with Pomegranate, Honey and Cinnamon, inspired by both the yogurt seen eaten in the film, and the healthy food that Cher is always pushing on her father. Kelley from Simply Inspired Meals was inspired to make not one, but two recipes inspired by our pick this month! 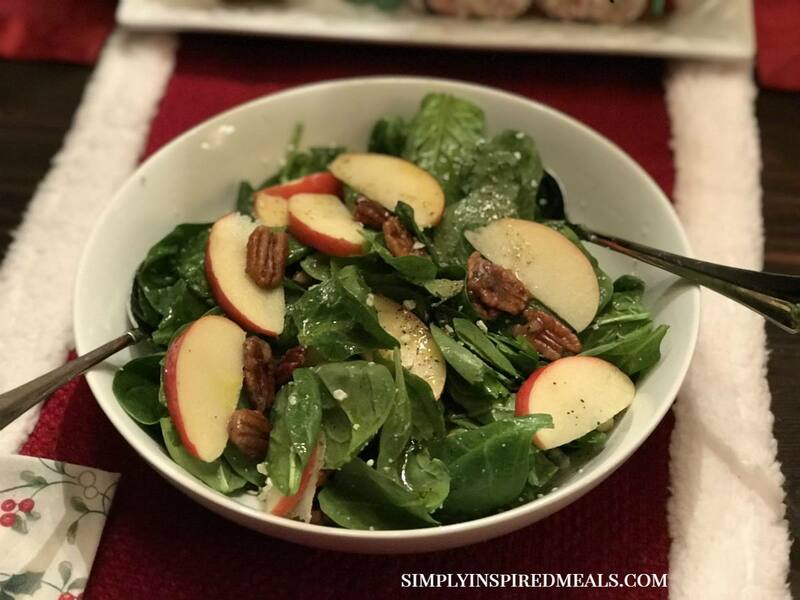 She starts out with this Holiday Spinach Pecan Salad that is healthy enough that Cher would encourage her father to eat it, but not so healthy that he could refuse. 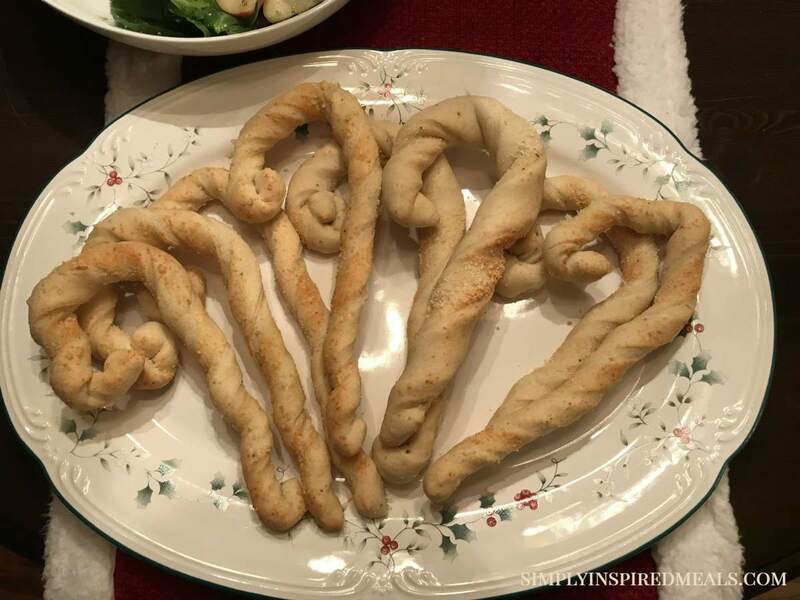 Kelley's second Clueless inspired recipe was a carb-fest inspired by the giant candy canes seen outside of the "party house" (plus, breadsticks and Pen!s talk...), Candy Cane Bread Sticks! Evelyne from CulturEatz is back with us again this month, and she's sharing her Devil's Food Cookies, inspired by the 90's and a "clueless" move from a snack company. 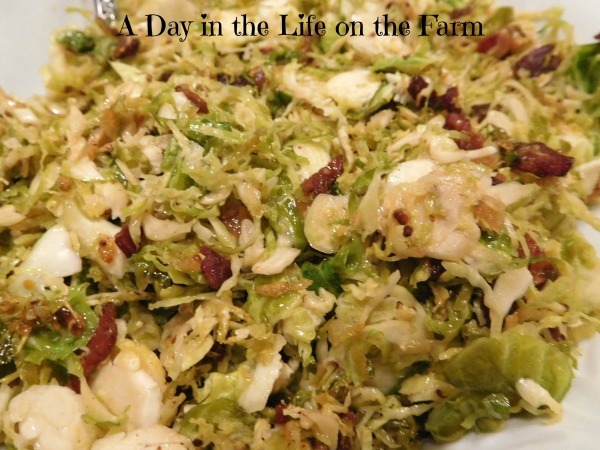 Inspired by the amount of salads shown in the movie, Wendy from A Day in the Life on the Farm shares her Warm Brussels Sprouts Slaw/Salad with us this month. 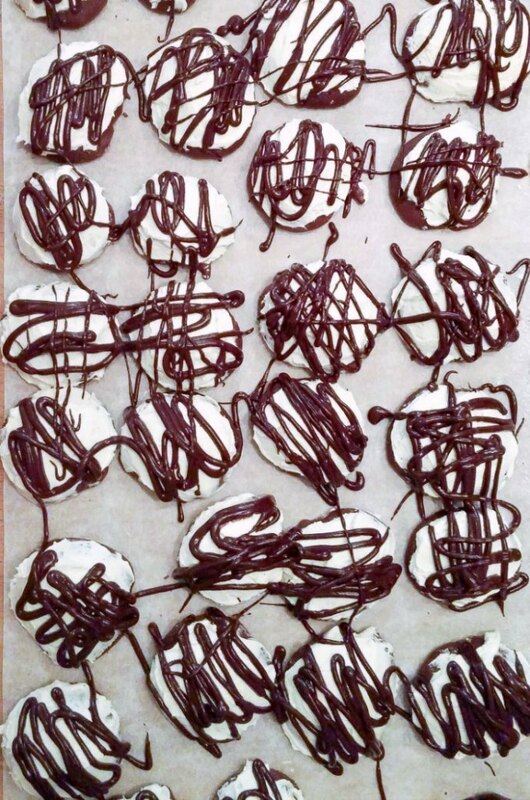 I (Heather from All Roads Lead to the Kitchen) pulled my inspiration from the scene where Cher guiltily lists all the foods that she just ate - and I put every single one of those ingredients into my "I Feel Like Such a Heifer" Marshmallow Squares! 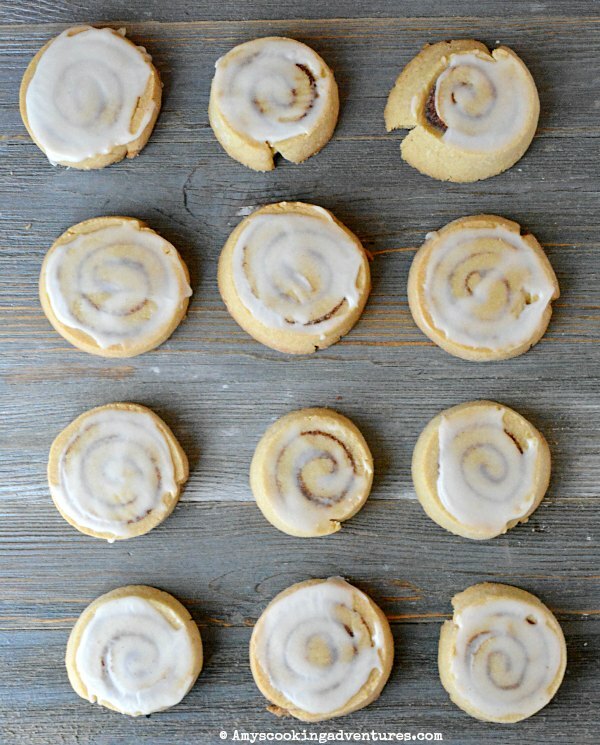 Inspired by the "roll" of cookies that Cher so ungraciously plops onto a baking sheet in her attempt to have something baking when a boy dropped by, Amy from Amy's Cooking Adventures made these Cinnamon Roll Cookies! Deb from Kahakai Kitchen made Dark Chocolate Raspberry Hearts (with fresh raspberries) because, as Cher instructs Tai, "anything you can do to draw attention to your mouth is good". Love it! I had a blast hosting this month's edition of the Food 'n Flix Club - thanks for all of the fun and inspired Clueless submissions! Be sure to join us in the kitchen next month as we create recipes inspired by the animated film Wreck It Ralph, with our host Amy of Amy's Cooking Adventures.